Replacement net for round 366cm trampoline. Replace the net from your 12ft/360 trampoline's safety enclosure for a low cost. The safety enclosure is an essential element for the safety of all your jumpers. 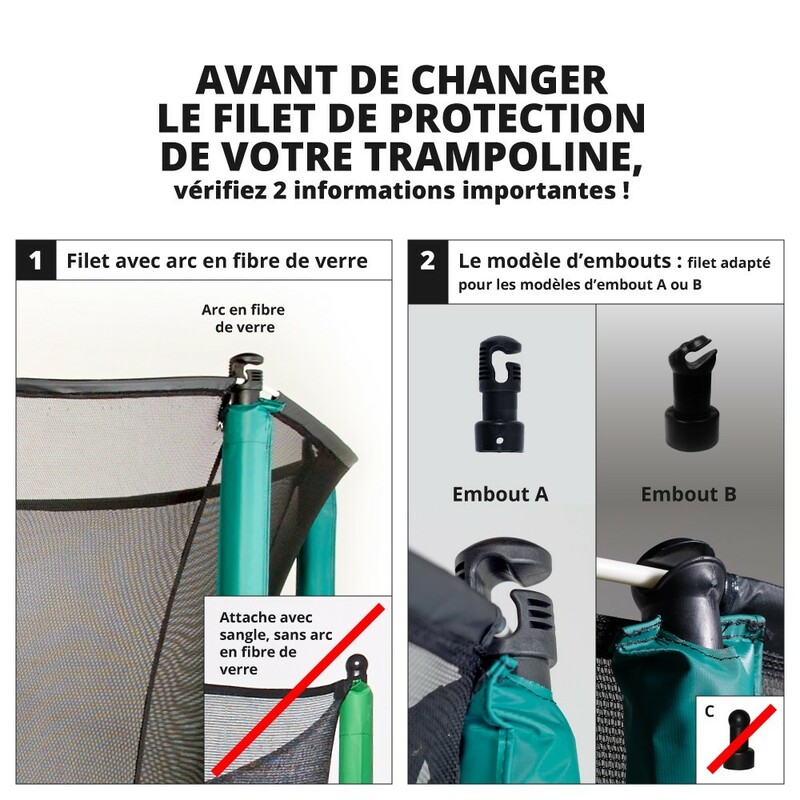 If the trampoline net is damaged, but the steel frame is still in perfect condition, France Trampoline offers you the spare parts to refresh your trampoline. - This net is perfectly compatible with our 12ft. Hip 360 trampoline and with other brands that have an external diameter of 3.66m and 8 net posts. - The net is made from polyethylene, it is tight enough so that children will not get their fingers caught in the netting. The net has also received an anti-UV treatment so it won't change colour and will deteriorate less. - To get on the trampoline you can use a ladder, that can be found in our 'Accessory' category. The net has a zip opening, you will need to use this L-shaped door in order to access the jumping mat. Users will use the zip to open and close the door from the inside or outside. 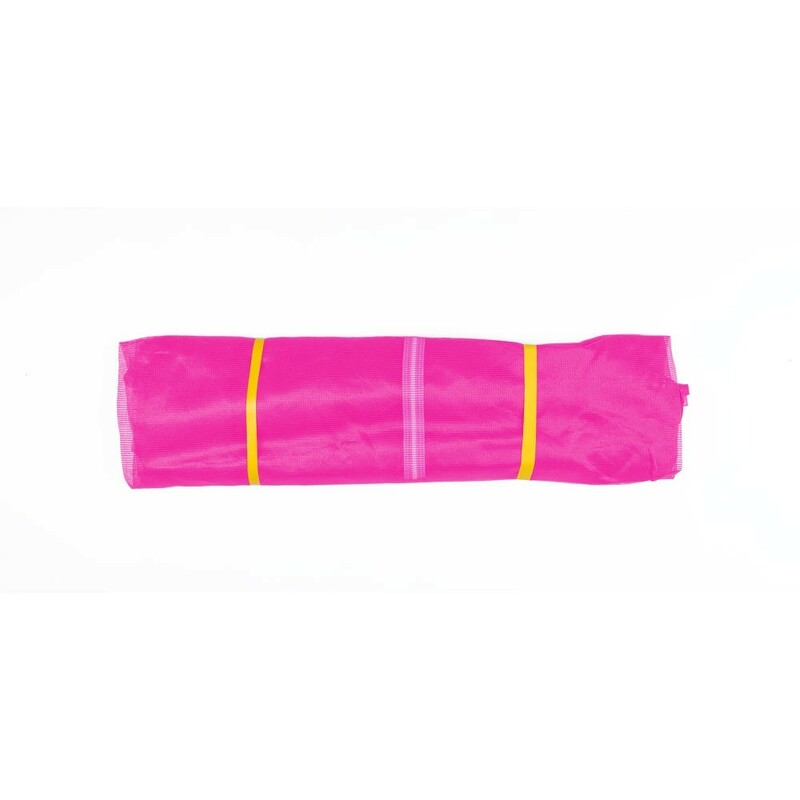 - In addition, this replacement net has sheaths for the fiberglass rods, which will be fixed to the clips placed at the top of the net posts. 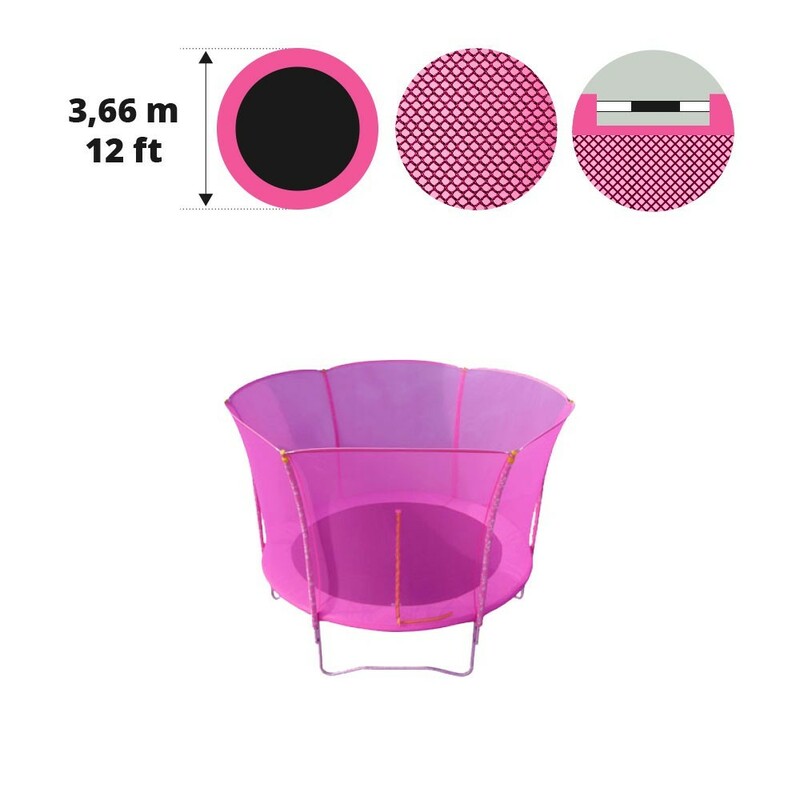 - For the lower part, you will fit the net behind the circular frame of your trampoline, the net must be attached with elastic cords and hooks. These hooks will clip to the hooks found on the springs.